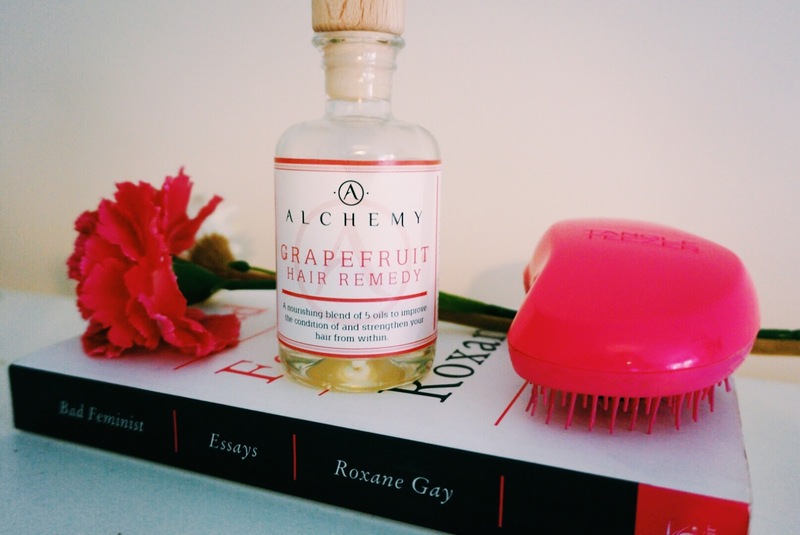 When Alchemy Oils got in touch earlier in the year to see if I wanted to try out their hair oils, I was so excited. Alchemy's ethos is all things natural - no parabens or nasty chemicals here. They promote the equal importance of treating the scalp as well as hair as this will create a healthy environment for growth. I'm trying to grow my hair but have neglected to get trims as often as I should. The result? Tresses that are on the dry and brittle side. 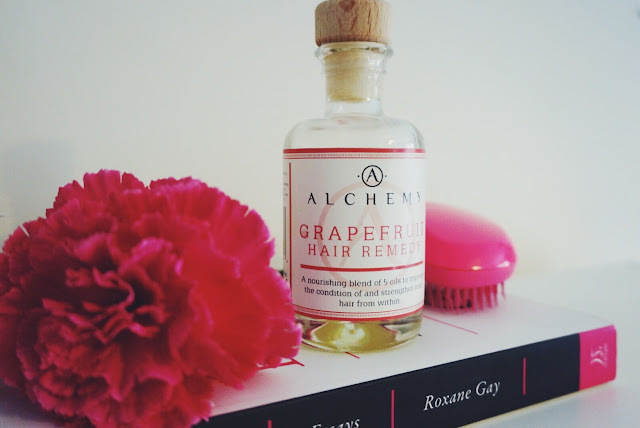 As it's designed to condition and strengthen the hair, I plumped for the Grapefruit Hair Remedy. With celeb fans and plenty of dazzling press coverage, I was super to keen to see how it fared on my hair. Packed with a 5 oils, each remedying a different hair complaint, this is a really luxurious treat for your locks. Grapefruit oil, besides from giving the product a delicious citrus scent helps tackle dandruff, prevent product build up and promotes growth. Castor oil works on getting your hair thick and strong, whilst the avocado oil locks in moisture - both also keep scalp infections at bay. Almond oil is the one for making your locks silky, shiny and finally coconut oil helps tame hair that has a life of it's own. You can apply to the ends of damp or dry hair and rub into the scalp or, you can do a deep treatment by working it into the hair from root to tip and leaving on for a prolonged period of time. The first option wasn't for me as I just cannot master the application. I'd either slather on too much and the lengths of my hair looked lank, or, I put too little on and it made no difference. As it's the ends of my hair predominantly crying out for attention, I've stuck with the all over treatment. I do this once weekly and leave it on all day because who leaves the house on Sundays anyway? 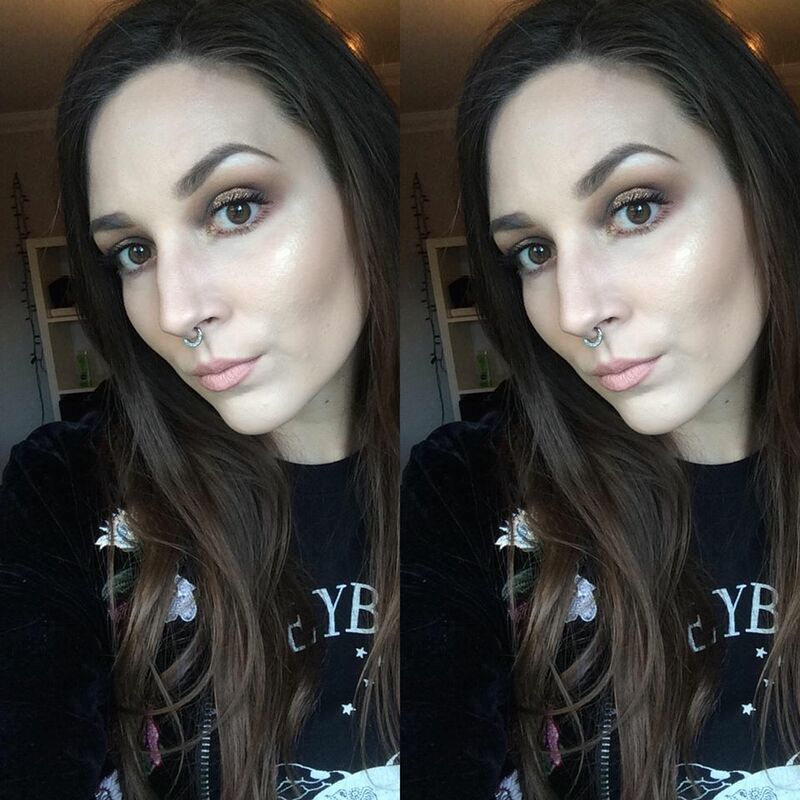 Although initially after washing the treatment out my hair feels super soft, the dryness does creep back in the next day but only on the ends. The stopper top means I'd be hesitant to travel with it and the control you have over the amount of product you get from the bottle is limited. However there is a travel size option with a plastic screw top. I've been doing this for over a month now and am pleased to report there are improvements! My hair is noticeably stronger, shinier and more manageable, which I'm loving. The product retails for £24 but you are getting a decent amount of product (100ml) which lasts as you don't need much and when you consider the natural, high quality properties of the ingredients, it's a reasonable price tag. Besides, I have a cheeky discount code for my readers! Just use "thebelljarblog" to get 10% off your order. Happy shopping! *Item sent for review by Alchemy Oils. Content and views are my own.